November is my favorite month of the year–Fall colors, a chill in the air, pumpkin spice everything, and National Novel Writing Month. 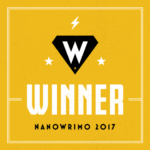 NaNoWriMo is the one month a year when I raise writing to priority #1 and quit with the excuses. 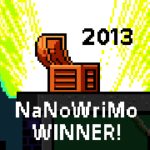 I have to write everyday to “win” NaNo, and you should know I’m very competitive. For at least the last five years I’ve written messy, delightful, creative manuscripts that have become published novels in my Spell of Summoning, Red Plague, and Beasts of Vegas series. 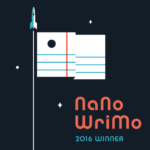 Do you have a novel waiting to be written? 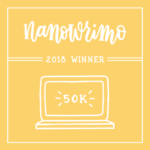 Join me for NaNoWriMo this year. It’s free to participate and a community of amazing amateur and professional writers are always there to bounce ideas off of and meet for coffee and plot talks. 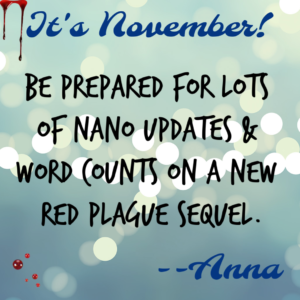 This year, I’m taking a break from my Beasts of Vegas series (but don’t worry–I’ll be back with a new sequel next year) and writing the last novel in my Red Plague series. There’s one more story to tell, and I’m going to share Jared and Olivia’s apocalyptic love story. 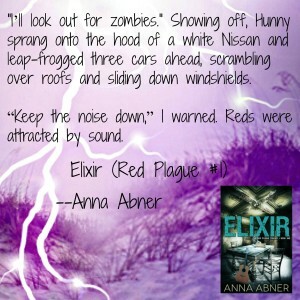 There will be red-eyed monsters, tyrants, edge-of-your-seat adventure, and so many zombies! I’m going to need your support to get through the next month, so keep checking back, and throw me a heart or two on Instagram (anna.abner). Ghosts, Hauntings, & Cheap Books: Sign Up For My Monthly Newsletter Today. 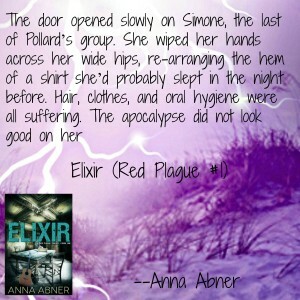 Elixir (Red Plague #1) Is Free! 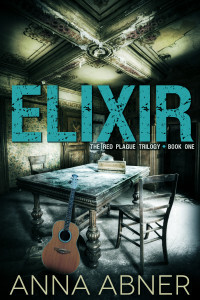 Elixir is free on Amazon from Feb. 25 – Mar. 1! The red plague has devastated the human race, turning billions of people into zombies with red eyes and an insatiable hunger for human flesh. The 212R virus sweeps through the population so quickly a possible cure is left to rot. Seventeen-year-old Maya Solomon may be the only survivor who knows where it is. But to reach the lab in Raleigh, North Carolina she will have to outrun the infected boy tracking her every step and cross into a city swarming with monsters.